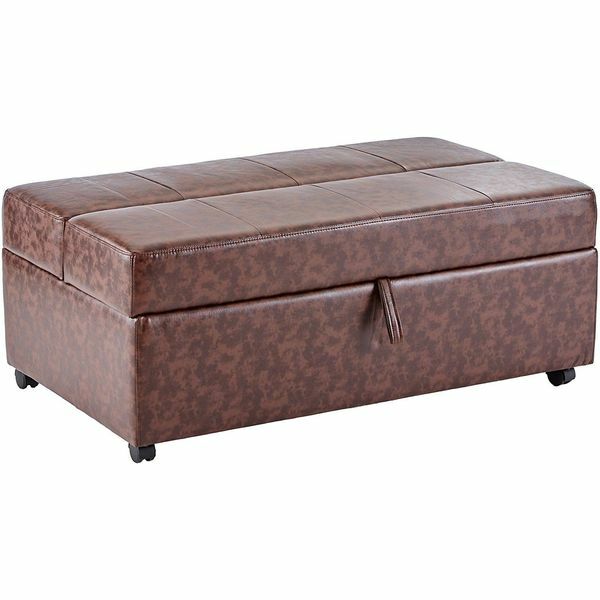 The Ottoman with Hidden Bed in Espresso Finish is a beautiful and functional piece of furniture that would look great in any living room. Have you ever gotten that call from annoying relatives that they are on there way to you neck of the woods and “oops” they forgot to book a hotel in advanced and now they need to crash at your place? Well with the Sleeper Ottoman you don’t have to worry about surrendering your bed because there is a twin sleeper right inside. This Sleeper Bench/Ottoman can be used as a bench or as a roll out bed, it can also be used just as an ottoman or a bench seat if you feel so inclined to sit on its beautiful brown cushioned top. The brown leather design will look great in any room and it is functional too. This sleeper ottoman is one purchase that will pay for its self in full time and time again when a friend needs to crash and you need to pull out that extra make shift bed. 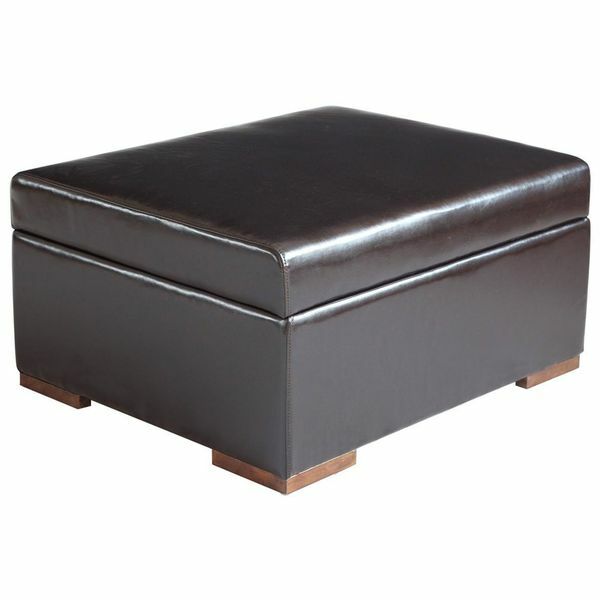 The Emerald Home Furnishing Hide-Away Sleeper Ottoman is a beautiful and excellent piece of furniture. Its is a beautiful black leather ottoman that you can either sit on or put your feet up on and then when you need an extra bed the top lifts up and one rolls up, but not only does the top come off to reveal a bed it also tilts backwards in an upright motion creating a headboard. This ottoman is a million times better than any cot. 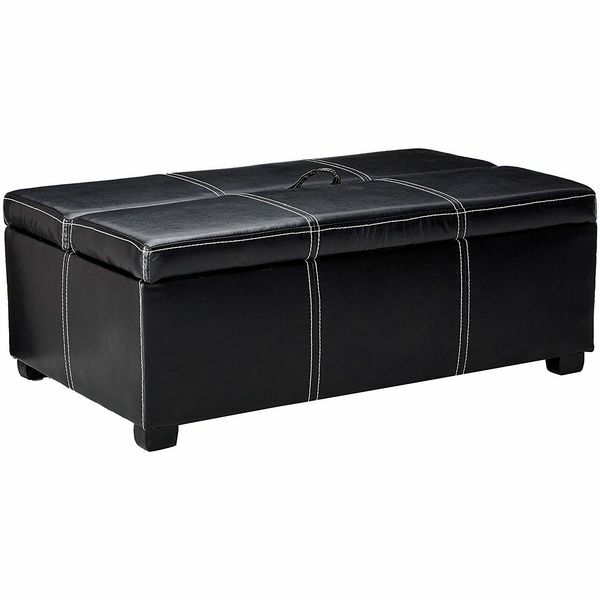 Get plenty of seating and plenty of storage in one convenient furnishing with this Simpli Home Avalon Rectangular Faux Leather Storage Ottoman Bench. The bench ottoman measures an extra wide size of 48 inches and features a comfortable padded top that opens up to expose plenty of storage inside. Bed has a weight capacity of 275 lbs. 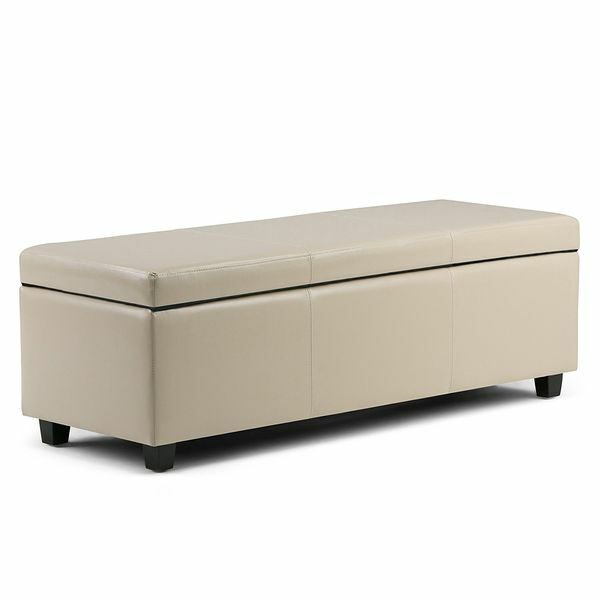 Accommodate your guests overnight without buying a brand new bed with this Corner Housewares iBED Convertible Ottoman. 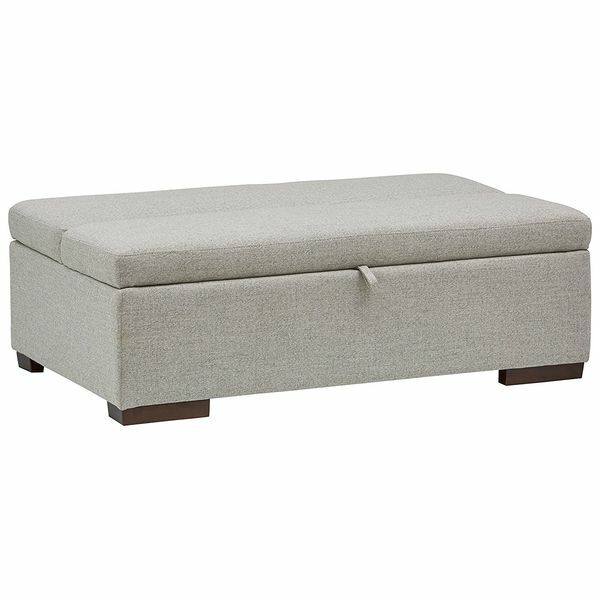 The ottoman features a large space for you to sit or rest your feet during the day and folds out to a guest bed with a two-inch foam mattress at night. Give your guests plenty of room to relax and sit during the day with space to rest at night using the Rivet Fold Modern Ottoman Sofa Bed. This furnishing functions as an ottoman that can easily be transformed into a bed with a simple pull and is made from a solid wooden frame.